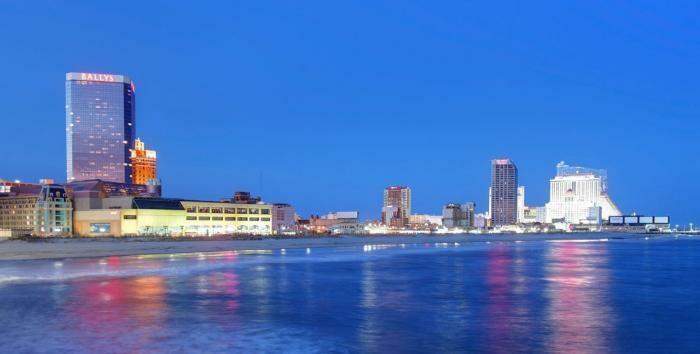 This year, three culinary superstars will host the 6th annual Atlantic City Food & Wine Festival, which runs from July 25 to 27. Martha Stewart will join chef Robert Irvine of Restaurant: Impossible and chef Marcus Samuelsson at the popular seaside celebration, which features a wide array of food and wine from local and international chefs, as well as spectacular events such as the Grand Market, an outdoor grand tasting event right in the heart of Bally’s Brighton Park. Over the course of the weekend, Stewart will participate in cooking demos and book signings while mingling with her many fans at an assortment of events, including Breakfast by the Sea, Dinner by the Sea and the always-popular Burger Beach Bash. Stewart won’t actually be cooking at the Dinner by the Sea fête, however; that task is left to chef Irvine, who owns a home in nearby Absecon, NJ, and, coincidentally enough, worked for many years in Atlantic City casino restaurants. The Saturday version of the event will feature a three-course meal from chef Samuelsson, a former Top Chef winner who runs the extremely popular Red Rooster in Harlem. Both dinners take place under the stars at Bally’s Courtyard on the Boardwalk. Irvine will also host Blues, Brews & BBQ on Bally’s Beach, giving lessons on proper grilling techniques in the process. Those in attendance can choose from a variety of classic barbecue favorites and round out their meals with mouthwatering sides and desserts. The adjacent beachside beer garden will offer ice cold brews, spiked lemonade and wine, while live blues music keeps the atmosphere lively. Saturday’s Burger Beach Bash, one of the premier events at the annual Atlantic City Food & Wine Festival, is set to be hosted by Stewart, and will feature packed crowds hunting some of the area’s best burgers. In the evening, Samuelsson steps in to lead the on-site New England Clambake.